PROTECTION. COMFORT. DURABILITY. Those are the reasons PBI-blended fabrics have been the preferred choice of large active departments across the Americas and around the world for over 30 years. Everything we do is making products to protect firefighters from a worst-case situation. Consider it firefighter insurance: better to have and not need than to need and not have. PBI is the trade name for polybenzimidazole. PBI Performance Products, Inc. is the sole producer of PBI fiber in the world. All PBI fiber is made in America, in our plant in Rock Hill, SC. PBI fabrics have been used in the fire service for over 30 years and continue to be used in other markets such as industrial/electrical, aerospace, military, and motorsports. From the time PBI was introduced to NASA for the Apollo missions in the late 1960s, it has been regarded as the best protection available for high-heat and flame applications. 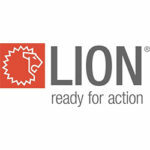 LION operates in three markets: emergency services, military, and personal equipment lifecycle management. In the emergency service markets, LION and its affiliates are the largest provider of fire fighters' personal protective equipment (PPE) in the world, outfitting more of the world’s largest cities than any other organization. LION through its BullEx and Haagen brands, is also the largest provider of training equipment and facilities for first responders, having built the last three largest first responder training facilities in the world. LION has also led the global personal equipment lifecycle management industry with its LION TotalCare® service program for PPE that is delivered to over 40,000 fire fighters around the world. In the military market, LION and its affiliates deliver management services through LION TotalCare® military programs with the U.S. Marine Corps, US Navy, US Department of Defense Troop Support. 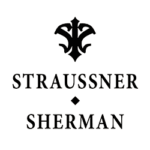 Law firm providing legal services, including workers compensation, disability retirements, employment litigation, and personal injury to safety members and their families. 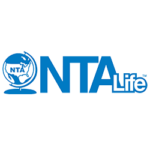 NTA Life is dedicated to Protecting the Heart of Our Community. That means we're focused on serving the very people that serve our communities: educators, emergency responders, and government employees. Our products and services are tailored to fit the needs of these professionals. 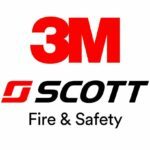 3M Scott Fire & Saftey is a premier manufacturer of innovative respiratory and personal protective equipment and safety devices for firefighters, industrial workers, police squads, militaries, homeland security forces, and rescue teams around the world. With five global manufacturing locations, 3M Scott products protect thousands of individuals each day from environmental hazards including smoke, toxic fumes, combustible gases, falling objects, and contaminants. The 3M Scott product line includes self-contained breathing apparatus (SCBA), supplied air and air-purifying respirators, PPE, gas and flame detection instruments, thermal imaging cameras, and firefighter communications and accountability devices. Headquartered in Monroe, North Carolina, 3M Scott generates approximately $500 million in revenues annually, employs more than 1,100 people worldwide, and has operations in Asia, Australia, Canada, China, Europe, Latin America, Middle East, New Zealand, and more. TenCate is the global leader in the design and production of protective fabrics for the emergency response, industrial, and military markets. We offer a comprehensive range of products that exceeds all others in quality, comfort, and FR performance. TenCate sets the industry pace by creating first-to-market, breakthrough solutions based on unmatched scientific expertise. TenCate leads the world of technical textiles every day. 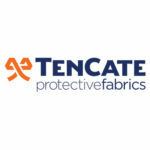 TenCate Protective Fabrics has been on the cutting edge of textile innovation for nine decades. TenCate Protective Fabrics supplied the first aramid fabrics for use in the petrochemical industry. TenCate has long been, and remains, a trusted leader in the production of FR fabrics for industrial applications. Manufacturing processes include weaving, yarn formation, non-woven fabrics and dyeing and finishing. Through state-of-the-art technology and innovative and proprietary techniques, TenCate has the ability to ensure consistent quality and, through a large and extensive network of supply chain partnerships and mutual agreements, can also assure product availability and shorter lead times for deliveries. 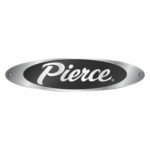 At Pierce Manufacturing, we build trucks that live up to your demands. It’s not some nine-to-five-go-home-and-forget-about-it kind of thing. Too much rides on what you do. To our team, there is no room for anything less than the absolute best. What began in 1913, building truck bodies on Model T Ford chassis in an old converted church, has evolved to creating highly customized, carefully designed and engineered pumpers, aerials, tankers and rescue units that have no equal. Behind every Pierce truck is a team of professionals whose mission is to build your truck, exactly how you ordered it. To us, every step of the process is personal; from innovation and expertise, to the customization and service. When the best people you know are the very people you serve, there is only room for exceptional. 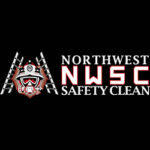 Northwest Safety clean has been proudly serving the firefighting and emergency response community for over 20 years. Initially started as a dry cleaning business, Steve Lakey Sr. moved his business towards cleaning firefighting materials after an inquiry from one of his regular customers, a Portland Fire logistics officer — and he’s never looked back. Our mission is to provide all necessary services to properly care for, maintain, and customize firefighter gear, all in one location. 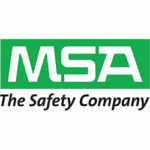 Maximizing the user’s safety is our goal for every service and product we provide. Knowing our work is so important to the lives of our customers and neighbors gets us excited to work every day. 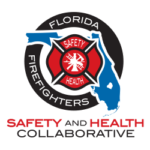 HazSim was developed by Firefighters / Hazardous Materials Specialists, whom after many years in the field, set out to fill a critical gap in HazMat training. As a result of that vision, HazSim products have redefined how specialists in hazardous environments are trained for life safety by providing unprecedented realistic education through virtual simulation. Authorized HazSimTrainers offer front line responders and Hazmat workers live, on-location, real-time simulations that are set to mirror the most dangerous environments. Creating these virtual HazSim situations pioneers a new road for improving response time, reaction skills, and overall safe management of potentially life-threatening situations. 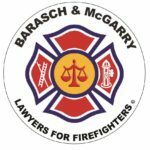 Barasch & McGarry, Lawyers for the 9/11 Community, have been fighting for 9/11 responders and survivors since the toxic effects of the attack first became known. Ret. UFA IAFF Local 94 Health and Safety Officer Bill Romaka and Ret. FDNY Deputy Chief Richie Alles are both on staff and eager to help. James Zadroga, the NYPD detective for whom the law is named, was our client. We are a law firm you can trust to evaluate your case and fight for your rights. Call us at 212-385-8000 or contact our office online at www.911victimfund.com to schedule a free consultation. 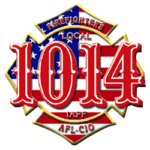 The Los Angeles County Firefighters, IAFF Local 1014 are labor representatives for 3,000 professional firefighters and civilians in 58 cities and the county of Los Angeles. 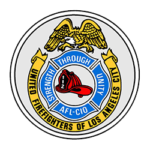 UFLAC is the labor representation organization of the more than 3,600 proud men and women that serve as firefighters and emergency medical personnel protecting the City of Los Angeles. 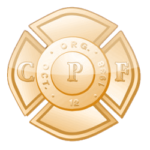 With a membership of more than 30,000, CPF is the largest statewide organization dedicated exclusively to serving the needs of career firefighters. 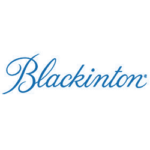 It is one of the nation’s strongest and most influential public employee organizations. 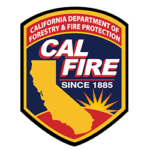 The men and women of the California Department of Forestry and Fire Protection (CAL FIRE) are dedicated to the fire protection and stewardship of more than 31 million acres of California's privately-owned wildlands. In addition, the Department provides varied emergency services in 36 of the state's 58 counties via contracts with local governments. 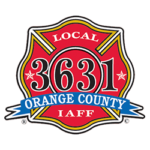 OCPFA represents over 800 professional firefighters of the Orange County Fire Authority and the Laguna Beach Fire Department. Combined, regional fire protection to 23 cities and 1.5 million citizens in Orange County, California. 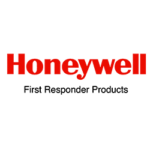 Honeywell provides innovative head-to-toe personal protective equipment (PPE) solutions for the ever-changing challenges firefighters face daily, allowing mission execution with effectiveness, efficiency, and safety 100% of the time. 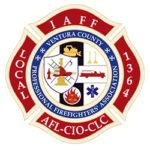 The Ventura County Professional Firefighters Association is the organization that represents all Firefighters in the Ventura County Fire Protection District (VCFD), and the Santa Paula City Fire Department (SPFD). No One Left Behind is an idea based on brotherhood among those serving together. It is of an honor shared, a promise given. No One Left Behind is firefighters raising money to benefit the nonprofit Firefighter Cancer Support Network and its mission of helping other firefighters and their family members diagnosed with cancer. The CDF Firefighters Benevolent Foundation supports the families of firefighters and other fire-suppression personnel in times of financial need or hardship; assists burn victims and their families; and supports research and studies on occupational hazards and exposures unique to firefighting. 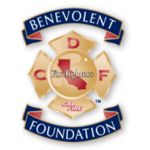 We have partnered with the CAL FIRE L2881 “No One Left Behind” efforts for the Fire Firefighter Cancer Support Network and plan joint fundraisers that benefit both organizations. More than 40 years of service to safety members and their families. 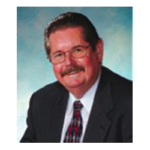 Specializing in workers' compensation, personal injury & disability pensions. 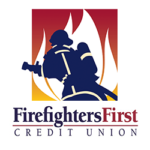 Since 1935, Los Angeles firefighters and their families have counted on the support and services of their financial family at Los Angeles Firemen’s Credit Union. 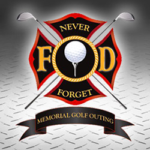 The combination of firefighters and Myrtle Beach guarantees an unforgettable outing, but it’s also a time to reflect on brothers who have lost their lives in the line of duty and raise money for our charity of choice, the Firefighters Cancer Support Network. 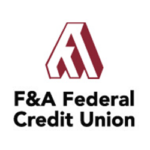 F&A provides financial services to employees and families in cities that contract services with the Los Angeles County Fire Department, as well as other city employees throughout L.A. County. 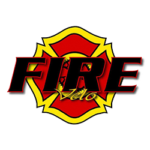 Fire Velo is a 501(c)3 non-profit organization made up of firefighters cycling for firefighters. Fire Velo participates in rides and charity events nationwide to help fund-raise for various fire service based groups and causes. Blackinton is the largest manufacturer of badges and uniform insignia. 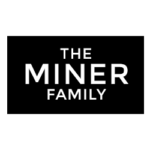 Each badge is attentively crafted by uniquely skilled individuals – all in one secure facility – achieving artistry in metal. Versatility, creativity, and expert craftsmanship are Blackinton hallmarks. 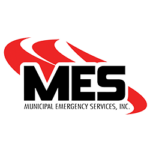 MES is the largest supplier of Globe Manufacturing PPE, Honeywell First Responder Products, Scott Air-Paks, FireQuip Hose, 5.11 Tactical Station Wear and Dragon Fire Gloves to first responders in North America.